I grew up in Boise, went to school and college at Boise State University. It was here in the mountains and river valleys of Idaho that I developed my passion for the outdoors. Hunting, fishing and downhill skiing, hiking and campoing are passions that I continue today. They are also the major reason that I chose to come back to Boise in 2003. My previous career was in Operations Management for trucking, intermodal and rail companies. In the pursuit of a rising management career, I moved quite regularly living in California, Utah, and Idaho. I finally came to the conclusion that corporate life was not for me. 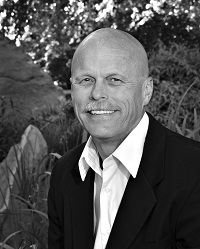 I made a huge career decision, moved back to Boise 2003 and began my career in Real Estate. Since then, I have seen the rise and fall of numerous markets, worked with buyers and sellers, investors, banks and short sales. I have always represented my clients honestly and forthrightly. For me, it is about you and finding the home that fits your wants, needs, and lifestyle. At the time it might means talking you out of a sale. I am upfront with my professional opinions, yet I also realize it is ultimately your decision. As long as you are fully informed, I feel I have done my job. Throughout it all, I stay actively involved in giving back to my community. I promote and advocate regularly on wildlife management and local community issues. I have served on the board for non-profits and regularly contribute my time and effort for community events and working groups. Whether you are a buyer or a seller, let's talk about what the market is doing today. With that information, we can work together to develop the best strategy that is tailored to your needs.